to create this magnificent object. Edward VII's ascension to the British throne upon the death of his mother, Queen Victoria, in 1901 marked the beginning of the Belle Epoque. Literally meaning 'beautiful era', it was a time when elegance was valued above all else in fashion and jewelry. The upper and middle classes flourished, especially in America, and indulged in clothing and jewels that expressed their wealth. At the turn of the century, Cartier was establishing itself as one of the preeminent jewelers to the elites of Paris, London and New York. Their designs paralleled the fashions of the day: upswept hair and low necklines in the evening leant ever more importance to necklaces. Dog collars, sautoirs and lavalieres were popular styles, as was the garland style festoon necklace represented by this example. The garland, or neoclassical style incorporating ribbon, swag and bow motifs, was popular following the sale of the French Crown Jewels in 1887. The House of Cartier's innovations with platinum contributed to its ability to rework neoclassical designs in a newly light and flexible way. 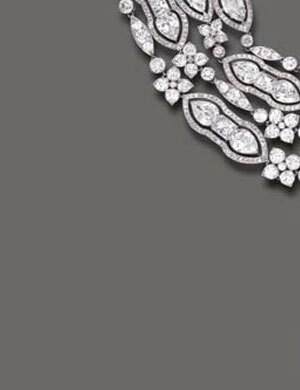 Although stronger than silver, which had been favored to display diamonds, platinum is less flexible, which prompted Cartier's designers to construct articulated jewels with hinged elements to create easy movement. 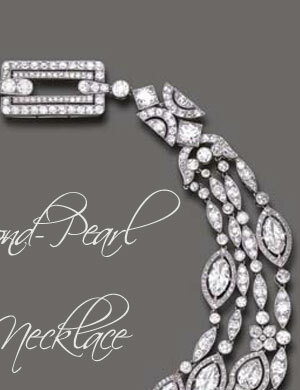 This necklace, is a magnificent example of a Belle Epoque diamond, pearl and platinum garland necklace by Cartier. 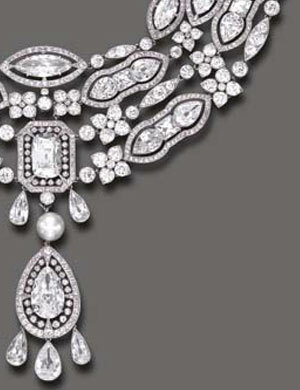 It ranks as one of the most important and beautiful necklaces representing this era, both for the luxurious elegance of the design and for the opulence of the diamonds. 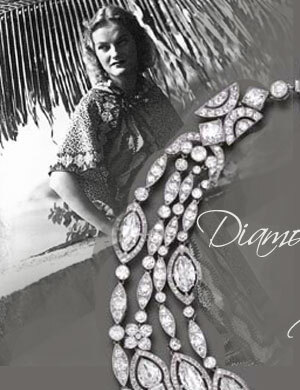 James B. Duke provided the firm with some of the diamonds employed. The original invoice from Cartier's Rue de la Paix boutique is dated 24 December 1908.